Does tea, like a fine wine, or a delicious cheese get better with age? This Tea Tuesday, E found a plastic bag full of well-aged tea bags in his parent’s kitchen cabinet, and we decided to find out. 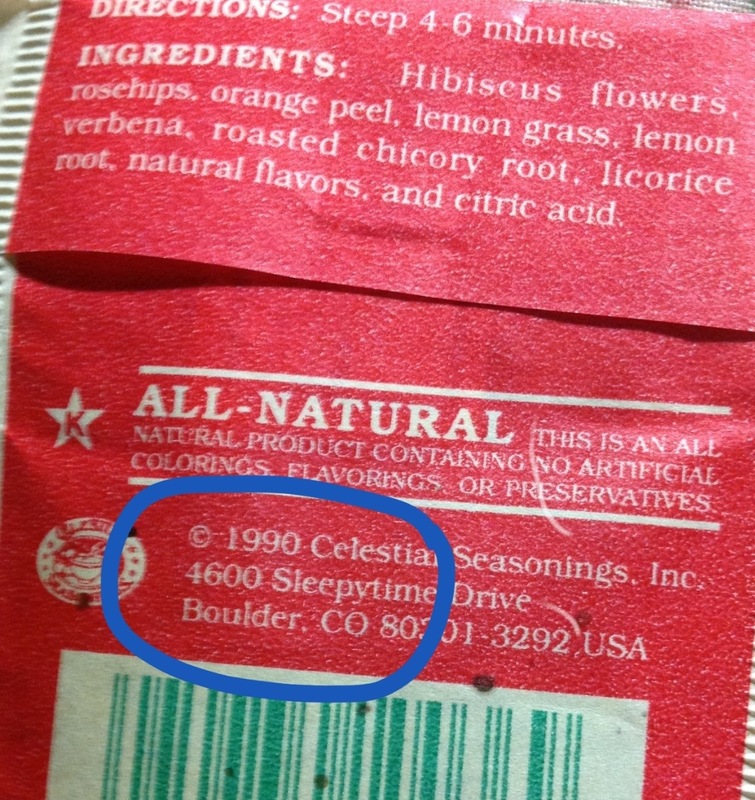 Celestial Seasonings packaging has changed a bit over the years… except for the sleepytime bear, he hasn’t aged a bit! 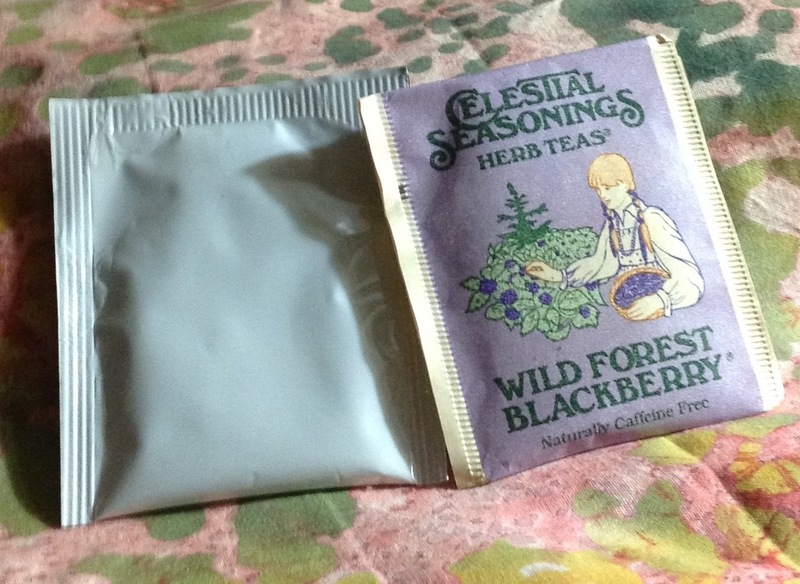 I selected the Wild Forest Blackberry tea, and E went with the unlabeled tea in the white package — the mystery tea, if you will. 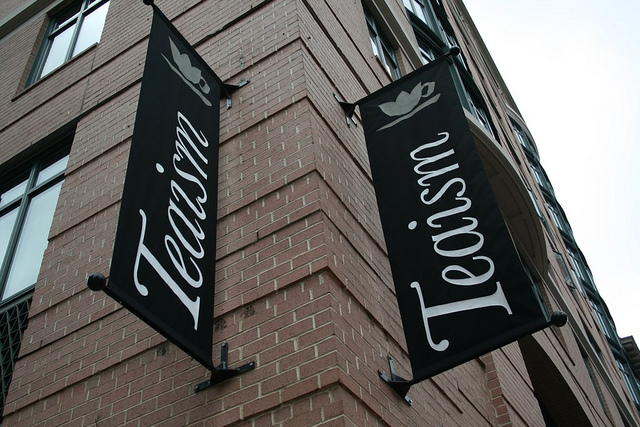 The mys-tea-ry, if you will. You probably won’t. Once removed from its package, the mystery teabag had a label on its string which just read “Uncle Lee’s Tea,” and it tasted like a basic cup of green tea. So, how did my 23-year-old cup of tea taste? Like a piece of history! 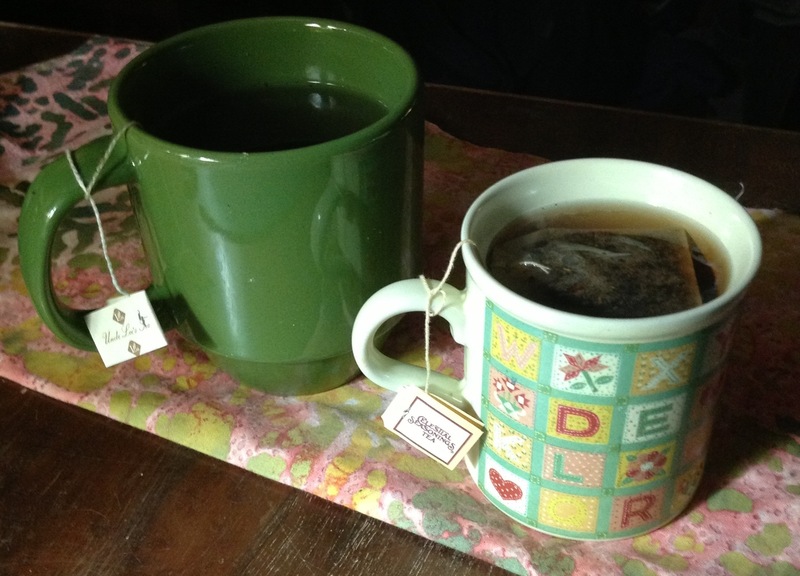 Apparently, E’s parents aren’t really tea drinkers, if they have tea as old as you in their cupboards! I’ve never looked for dates on tea. How did you happen to notice them, or even think to look for them?? E’s parents actually do drink a lot of tea — they have a boxes of it stacked on top of the stove. 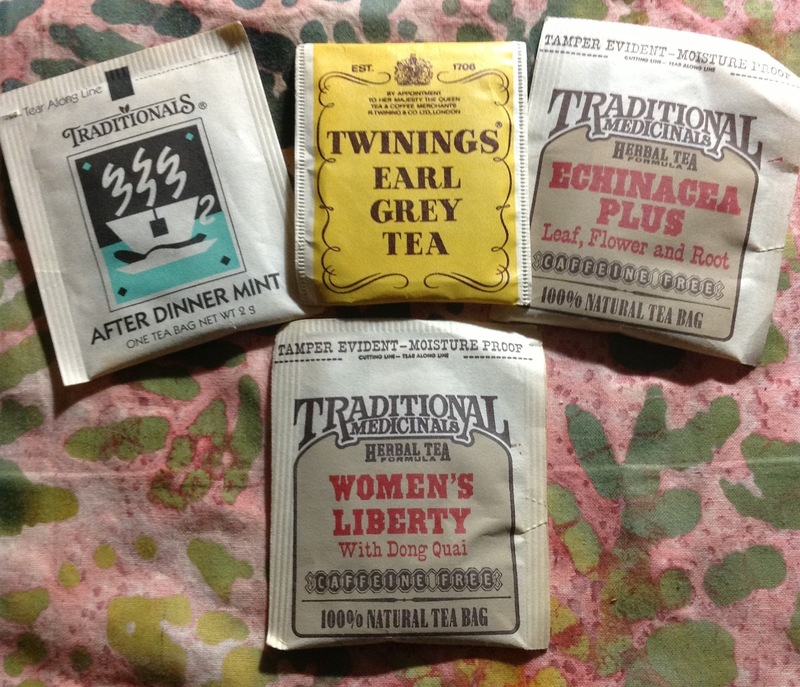 But, they also have a tendency to not get rid of things, so E found the bag of old tea tucked away in a cupboard behind some newer boxes that hadn’t yet made it into the rotation sitting on the stove.